When there are ripe bananas left at home I often make oatmeal banana biscuits. They are quick and easy and can be eaten in the way but on days off I always want to make something different. Overripe dark brown bananas are not my favourite and I rolled up my sleeves and started processing them. These muffins are flour and sugar free which makes them a very healthy meal and one more advantage – they are ready for 30 minutes. 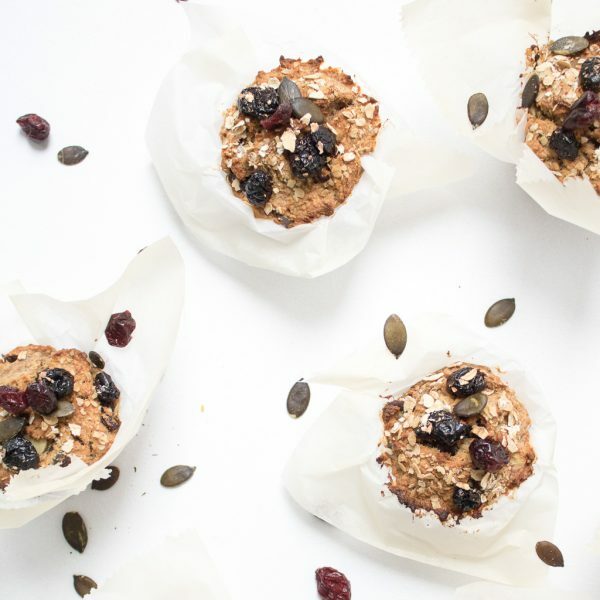 These muffins can be gluten free if you choose PURE oatmeal. Pure oats and pure oatmeal do not contain gluten. However, most oatmeal brands on the market today are not pure—they contain oats that have been cross-contaminated with a tiny amount of wheat, barley, and/or rye. So if you are looking for a gluten free version look out for outs with no additives. 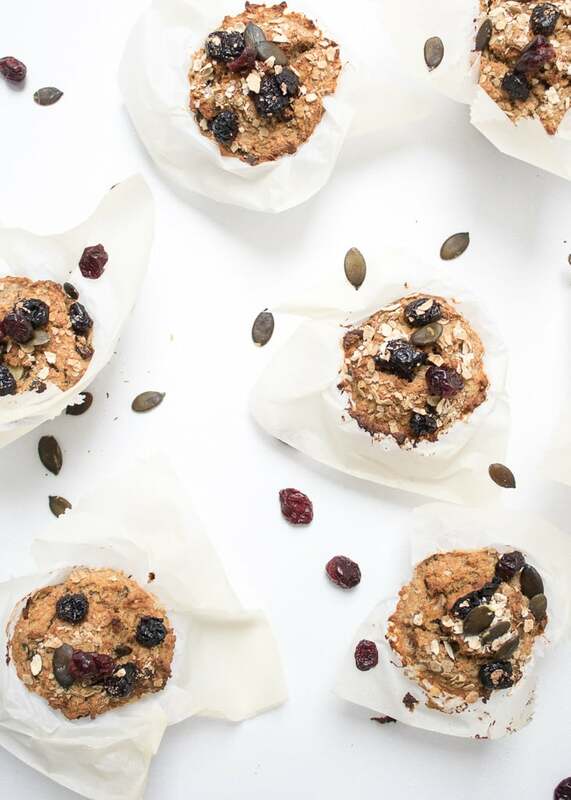 Quick oatmeal banana muffins for breakfast! 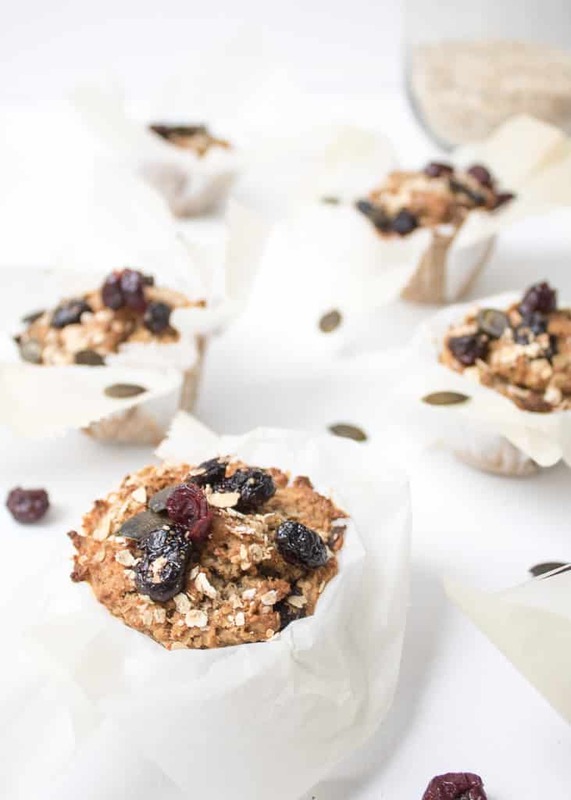 These muffins are flour and sugar free but are delicious and full with aroma! Preheat the oven at 200 degrees. Mill the oatmeal into flour in a kitchen grind or blender. Peel and mash the bananas in a large bowl. Add all other ingredients and stir well. In a muffins baking form put circle shaped baking paper or muffin baskets and fill it till the edge of the shape. As the muffins are flour free and won’t raise much. Bake for around 30 minutes and leave them chill for 10-15 minutes after they are baked.